Please vote for me in the BiBs craft category! Voting closes today at midnight for the Brilliance in Blogging awards or the BiBs. This is the second year I’ve been shortlisted in the Crafts category and I would really appreciate your vote (just click on the image to go to the nomination form). I started blogging back in 2005 about my life in London and the things I made. I still write about this but also life with two children and much more. Every night my son asks me what we’re going to make the next day but my blog is more than just children’s crafts. I also love to sew, embroider, recycle, upcycle my vintage finds, bake and read craft books. Just this week I’ve been busy finishing off a doll quilt for my daughter, tried making ravioli from scratch and made my son a ladybird costume for nursery. 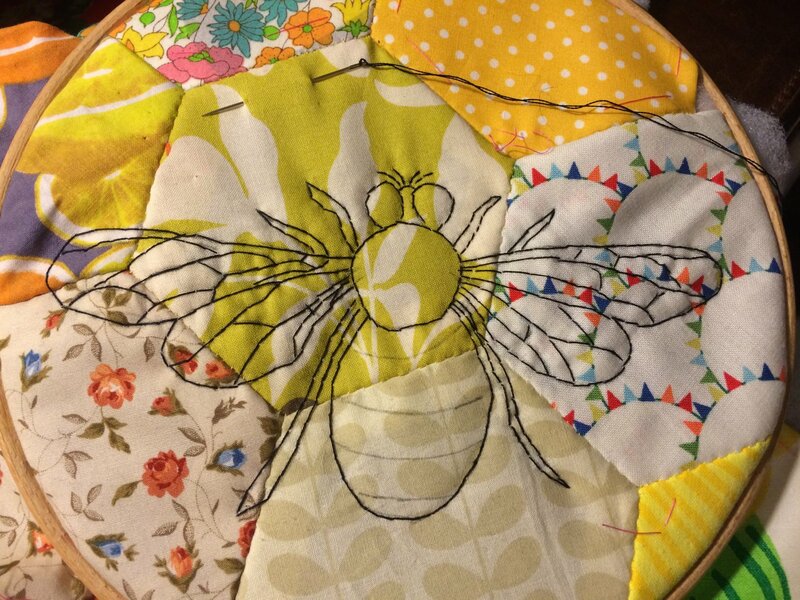 Here’s a sneak peak of the doll quilt I’ll be sharing with you next week. I love trying to live a creative family life and I really hope that comes across here on my blog and social channels. Thanks for reading!